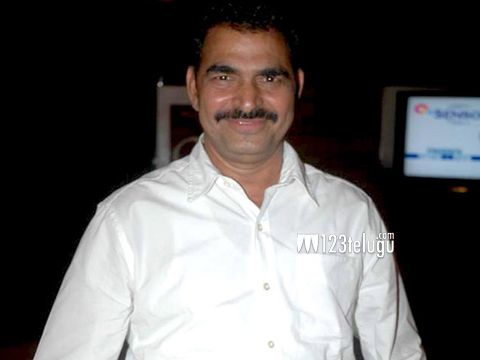 Sayaji Shinde has been one of the most sought after character artists in Tollywood. Originally a Bollywood actor, Sayaji made his transformation into South films with Tagore in 2003. He has done nearly 100 films in Telugu and is known for his roles in films like Arundhati, Devdas and Pokiri. 123telugu caught up with this versatile actor for an exclusive chit chat, and here’s what he has to say. Q. How has the journey in Tollywood been so far? A. Touch wood, its going really good. I never thought that I would stick around for so long in Telugu films. Special roles are being written for me, and I am getting to work with all the top directors. Q. You have always dubbed for all your films. Is there a particular reason behind this? A.Yes! I feel that the essence of the character comes out well only when you dub for yourself. I am dubbing for all my films even for other languages in the South. Q. Which is that one role that cemented your place in Tollywood? A. To be frank, I can’t pick one role in particular. I have done some interesting characters till date, but films like Devdas, Arundhati and Pokiri brought me into the lime light. Q. Who are your favorite directors in Telugu? A. I have a good relation with Sreenu Vytla and Puri Jagan. I have done many films with them and every time they come up with a special role for me. Q. You are doing mostly South films even though you are from Bollywood. Do you miss acting in Hindi films? A. South films have always been special. I am in awe of the talent and sincerity that South Indian technicians have. I am playing major roles in every language down South, and I am very happy doing them. Q. Any plans of doing more films in Bollywood? A. Currently I have no plans. Everyone in Bollywood now thinks that I am a Telugu actor who is desperate to act in Hindi films. I was quite disappointed with some of the roles that were offered and also, the way certain directors have treated me has left a bad taste in my mouth. Q. What are your upcoming films in Telugu? A. I have a couple of films lined up including Mahesh Babu’s 1 Nenuokkadine and Sunil’s Bheemavaram Bullodu. A. Since I am closely associated with Marathi films, I have a script in mind which I would like to produce. With that we ended our chit chat with Sayaji Shinde and wished him best of luck for his films.